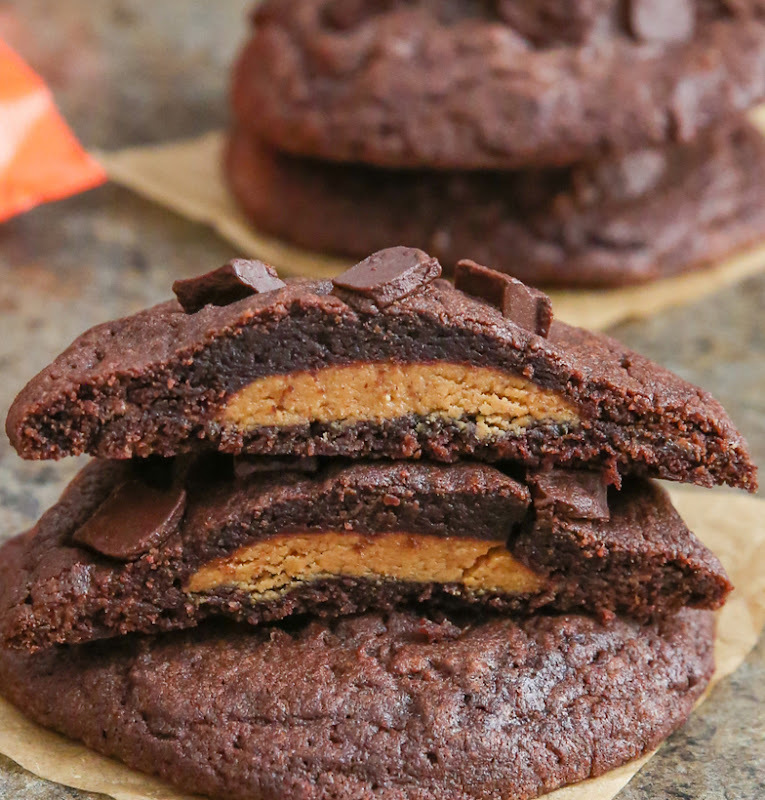 These chocolate cookies are each stuffed with a full peanut butter cup, giving them a rich and creamy center. It’s a great way to use up any leftover peanut butter cups you may have after Halloween. We are just a few days away from Halloween. I stuck to my strategy of waiting until the very last weekend before Halloween to purchase candy so I wouldn’t be eating Halloween candy all month long. Since purchasing the candy on Saturday, I’ve already “taste tested” 22 pieces. This is not including the half empty bag of pumpkin spice latte M&M’s I supposedly bought for baking, but haven’t yet used for baking. I had a particularly embarrassing moment last night when I decided I needed to go for a walk on my treadmill to work off all the candy and asked Mr. K to set up the TV so I could watch it while walking on the machine. About fifteen minutes after I went downstairs, my husband called down to see if the TV was working correctly. I was mid-bite into a Snickers bar, which I then quickly, guiltily, stuffed back into the snack closet. So I doubt I’ll be having any leftover Halloween candy after this weekend. But in theory, if I did, I would make these cookies. 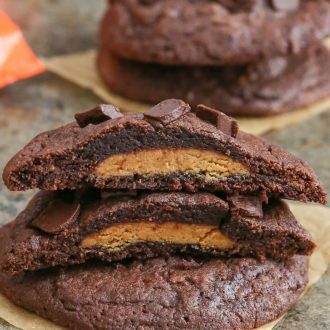 These chocolate cookies are each stuffed with a full peanut butter cup, giving them a rich and creamy center. It's a great way to use up any leftover peanut butter cups you may have after Halloween. Cream the butter and sugar on medium-high speed in a stand mixer with paddle attachment until light and fluffy, about 2-3 minutes. Mix in the eggs. Add in the cocoa powder and mix on low speed until completely incorporated. 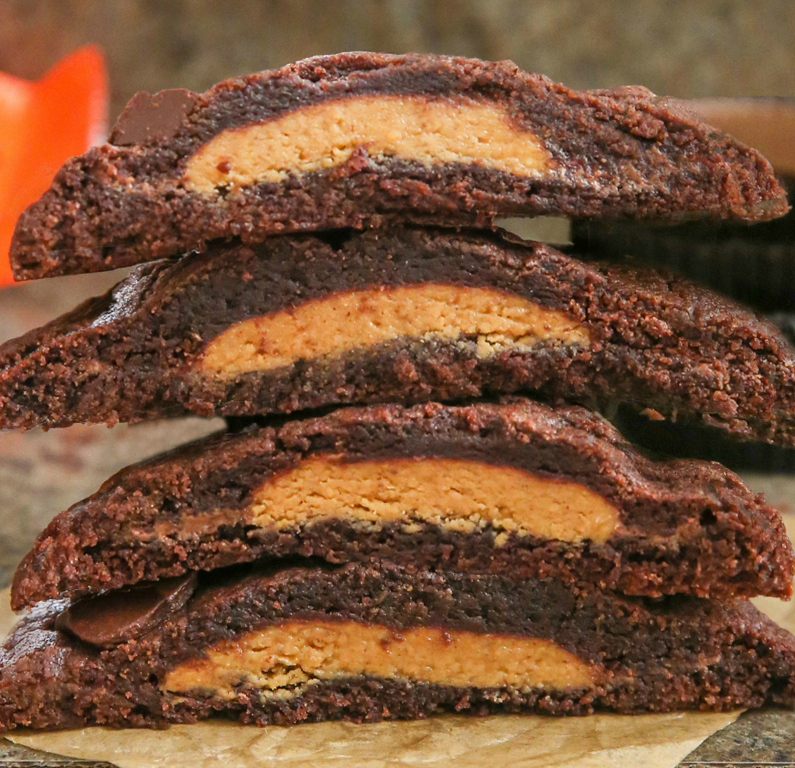 Place a peanut butter cup in the middle of each dough round. Scoop 1.5 tbsp of cookie dough and put on top of one of the cookies. 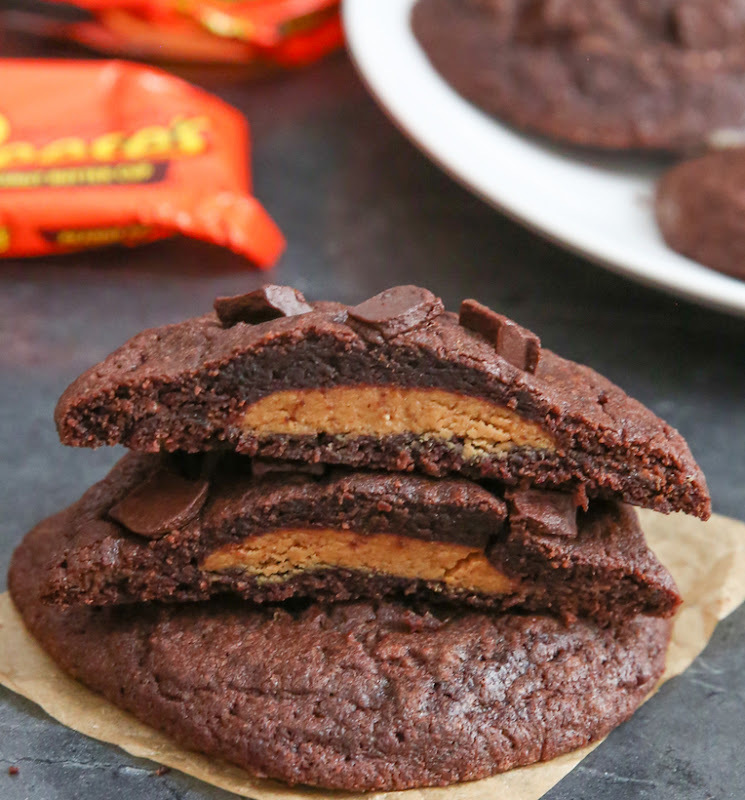 Using your hands, spread the top dough ball over peanut butter cup until it is completely covered in chocolate cookie dough. Make sure to seal the top cookie dough with the bottom cookie dough. Seal remaining dough balls the same way with the remaining dough. Gently press about 5-6 chocolate chunks on the surface of each cookie. Bake about 12 minutes until cookies are set and cooked. 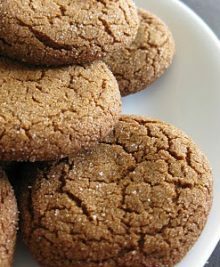 Let cookies cool directly on baking sheets before removing. they taste great in chocolate cookies! 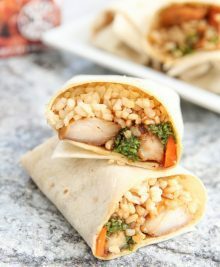 were these chewy or crispy?